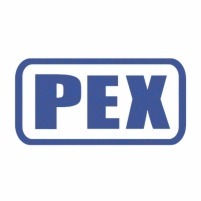 Pex Hydraulics can take care of your every need with regard to hydraulic repairs and servicing on any scale, be it earthmoving, mining, petrochemical, industrial, forestry, demolition, oil and gas or anything hydraulically operated. We have the in-house capabilities and expertise to repair and service hydraulic components off any hydraulically operated equipment with vast experience on Caterpillar, Hitachi, Komatsu, Linde, Volvo, Case, Doosan, Hyundai, Liebherr, Poclain, Terex and Kress to name a few, specialising in repairs to hydraulic and pneumatic cylinders, pumps, motors, valves, final drives and slew joints. We also have a large stockholding of spares across our branches as well as an international network of suppliers ensuring a swift turnaround time on our repair services. A comprehensive testing facility also exists for all repaired items. Each job is tested after repair to OEM spec, without exception and a test certificate produced, indicating the required characteristics and pressures required and actual measurements obtained, before any component is released.